Showing 1 - 20 of 615 results. 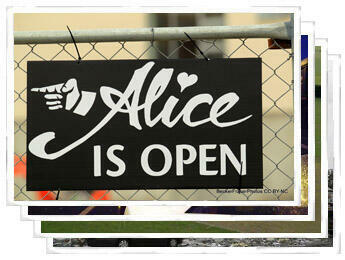 Photographs taken by photographers from Fairfax Media in September 2010. 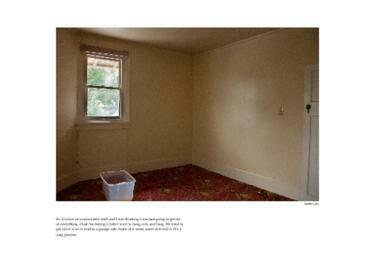 Photographs taken by Dean Kozanic from The Press in September 2010. 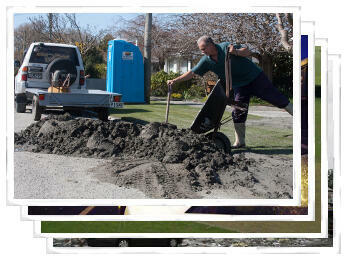 In the wake of the quake we went back to the roots of a remarkable democratic movement that began here in Christchurch. Led by Kate Sheppard, New Zealanders came together to successfully petition for universal suffrage in 1893, making New Zealand the first country to give women the vote. The decision to suspend regional elections with no prior warning or community consultation, let alone democratic or constitutional justification. The sudden central government announcement of a major reorganisation of Christchurch schools, effectively trying to 'consult' an already strained and fragile community at a time when schools are central to recovery yet cannot engage in meaningful dialogue because we have so many immediate issues to face in a post disaster situation; real community voice needs time. The sweeping aside of our elected city council, effectively rendering their role redundant. Major decision-making is led by CERA, a central government department that cannot be a substitute for transparent, responsive and elected local decision making. 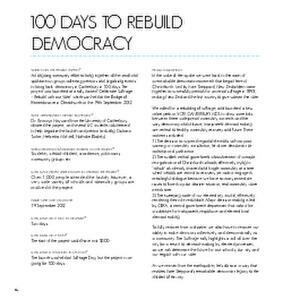 To fully recover from a disaster we also have to recover our ability to make decisions collectively and democratically as a community. The Suffrage rally highlights a call all over the city for a return to decision-making by elected processes, so we can determine the future for our schools, our city and our region with our vote. As we recover from the earthquakes, let's do so in a way that restores Kate Sheppard's remarkable democratic legacy to the children of this city. For the World Cup Final, All Right? created a series of images for Facebook based on the Five Ways to Wellbeing. 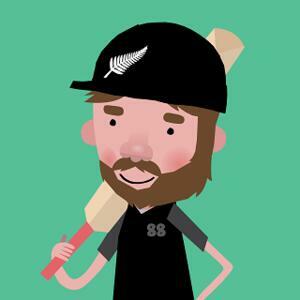 Titled the 'World Cup Final Survival Guide', each image depicted a way to turn the final match into an opportunity to connect, be active, keep learning, take notice or give. Photographs of Dematerialization - an immersive installation linking physical space and virtual reality. 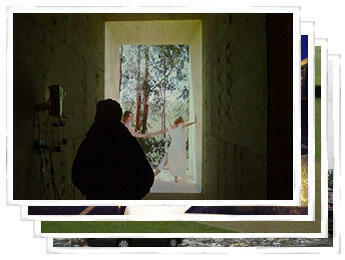 The virtual performance and installation was part of the public programme for FESTA 2014. Newspapers published by the Christchurch Press in September 2010. 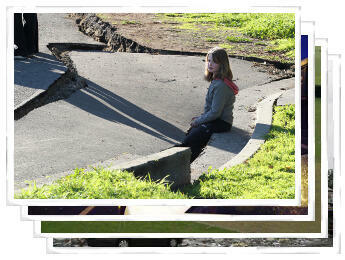 Earthquake photographs taken by UC Photographic Services in 2010. Issues of the Shore View community newspaper, published in 2011. Shore View ceased publication in April 2011. Set two of documentary photographs of Dallington. 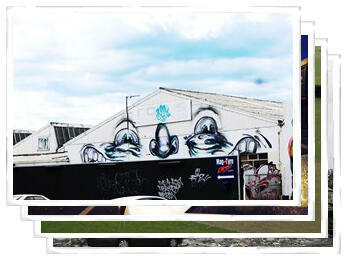 A collection of photographs of street art in Christchurch, taken by Paul and Sam Corliss in December 2013. Paul Corliss is a TEU Branch Organiser at the University of Canterbury. 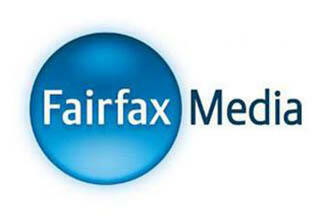 Videos from Fairfax Media recorded in November 2011. Photographs taken by BeckerFraserPhotos in May 2012. Material relating to a Transitional Cities project, titled 'Buskers Festival Relocation Around the Events Village'. The project description reads, "The worlds favourite street theatre festival takes place every January in Christchurch. It has been running for 20 years and attracts over 300,000 people every year. With over 550 shows and 65 international performers, it is the most accessible festival in the world; you only pay what you think the show is worth". 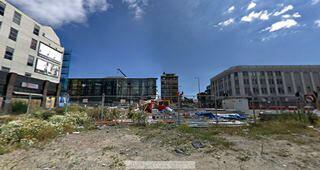 Interactive 360-degree panoramic photographs taken on Manchester Street, between Lichfield Street and Struthers Lane. 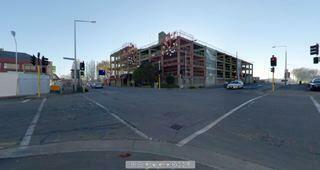 Interactive 360-degree panoramic photographs taken at the intersection of Manchester Street and Gloucester Street. 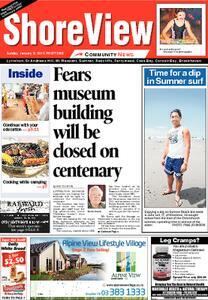 Newspapers published by the Christchurch Press in October 2012. 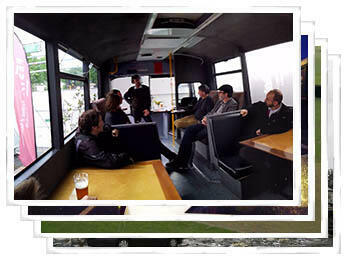 Photographs of Smash Palace's 'Get on the Bus' tour. The event was part of the public programme for FESTA 2012. 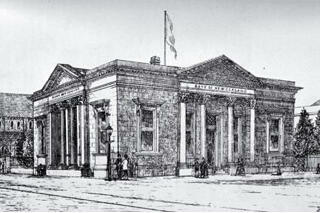 This collection was put together by the UC CEISMIC programme office, and includes visual and written histories of buildings in the Christchurch city centre. 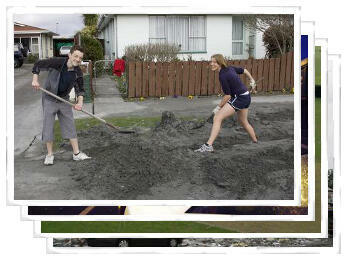 The material collected was used by HIT Lab NZ for their web and mobile application, CityViewAR. HIT Lab NZ, or Human Interface Technology Laboratory New Zealand, integrates research and education, providing students with a project-based learning environment. 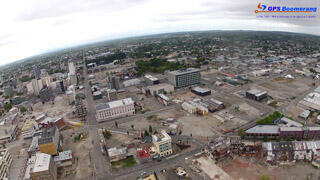 CityViewAR is a HIT Lab NZ project, and allows users to see virtual buildings overlaid on the real world in an augmented reality web application. It can be used to visualise reconstructed buildings, and show other related information and images on site. The images and research in this collection were gathered from a variety of sources, include the NZ Historic Places Trust, the Christchurch City Council and the National Library of New Zealand. 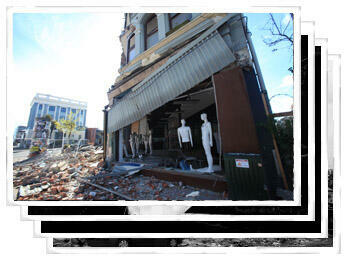 The aim of the collection is to expand coverage of the Christchurch inner city and significant heritage buildings.